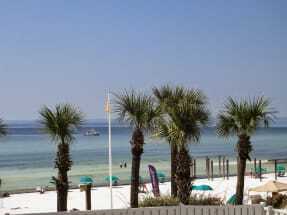 Welcome to Crystal Sands vacation rentals by Owner in the beautiful Destin, Florida! 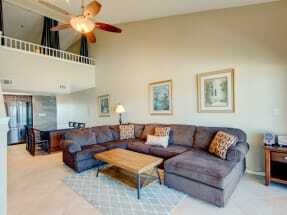 Emerald Coast by Owner is happy to offer you a number of amazing condominiums here at Crystal Sands! 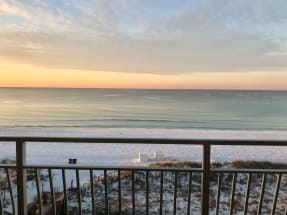 When you stay here, you can enjoy the gorgeous view located right on the beach, this 3 story complex offers peace and quiet so you can really relax on your getaway! Amenities here include the community outdoor pool, hot tub, sauna, free parking and an amazing location compared to shops and restaurants! Speaking of shops and restaurants, the possibilities are endless down here! There's so much to do, you might not have enough time to try it all! When it comes to fun, people around here love to go parasailing, deep sea fishing, to amusement parks and water parks nearby, golfing, boat tours, jet ski rentals, race go karts and so much more! For shopping, head over to Destin Commons! This outdoor mall offers over 90 stores and a few restaurants with great variety! Lastly, the food! You're in for a delicious treat when you decide to dine out down here! There's so many fantastic spots! A few we recommend are McGuire's Irish Pub, Dewey Destin's Seafood and Restaurant and Harry T' Lighthouse! Come on down and take your pick, you won't regret it! 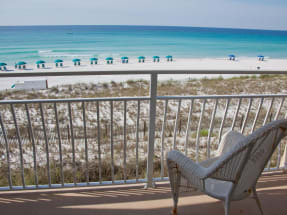 Discover your next vacation home with Emerald Coast by Owner. We offer hundreds of listings at the beautiful Crystal Sands. Click here now to book your next vacation spot! When you book with Emerald Coast by Owner, we make it easy for you to choose where, when, and what you want to do on your trip. Contact us with any questions!